Kickstart your personal fitness as you take your pick from aqua sports classes to killer HIIT sessions! 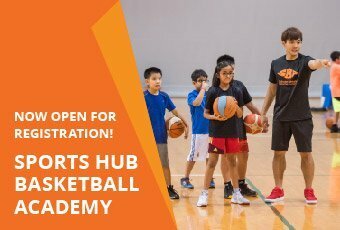 Whether it’s exciting sports try-outs or body-sculpturing activities, spur on your family and friends as you discover your new fitness destination at the Singapore Sports Hub! Take the plunge towards a healthier, fitter you! 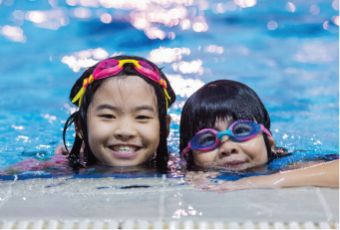 Whether you're new to the pool or wish to learn something new, our variety of swimming and aqua fitness classes will keep you moving and having fun in no time. 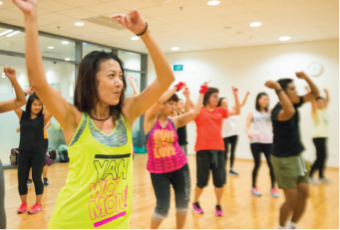 Check out the variety of exciting sports try-outs and FIT sessions that keep you burning calories while having fun! Don't miss out on a great opportunity to try a rewarding and exciting sport! Complement your fitness regime with our refreshing Zumba, Pilates and Yoga classes! 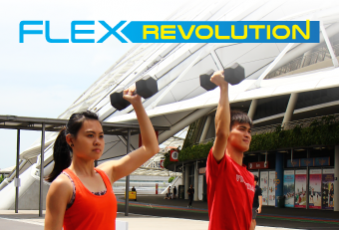 Come ready to sweat, make new friends and leave feeling fantastic! 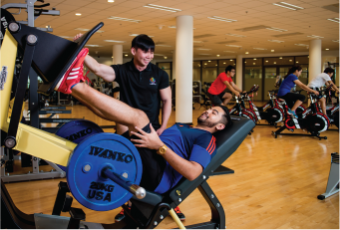 Tons of cardio equipment, an energising atmosphere and super friendly staff – what more could we ask for? 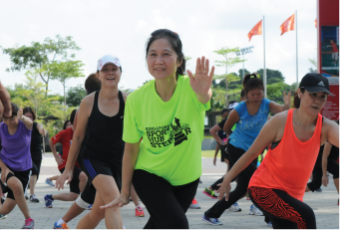 Jumpstart your fitness goals at the Sports Hub Gym today! 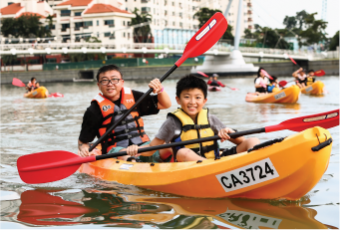 Come find out why so many people love kayaking and dragonboating on the Kallang Basin! Sign up for our variety of water sports courses, or rent a boat for a paddling good time! Where no aim is too high! Experience innovative and fun yet systemised basketball training with our professional basketball coaches. Get your heart rate up, feel the pulse of your team and scale new heights - all within fun, friendly and supportive settings.